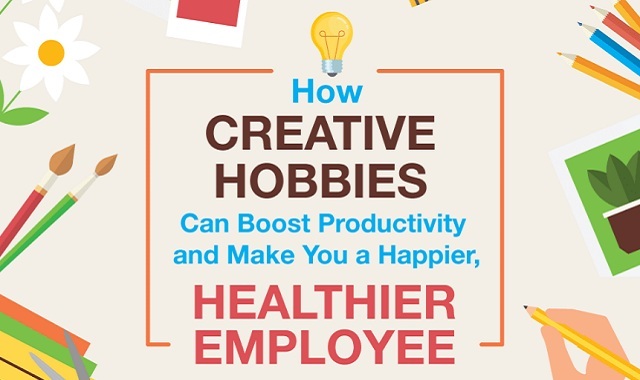 How creative hobbies can boost productivity #infographic ~ Visualistan '+g+"
Research shows hobbies can improve cognitive function and extend life expectancy. One study even found that creative hobbies can positively impact employees’ performance in the workplace. Check out the infographic below for more detail, plus several trending creative hobbies for you to pick up this year like bullet journaling, brush lettering, and macramé.